Divide the class into 3 or 4 teams (A,B,C,D) Teams choose a square and say the number (in French) and either say or write the answer. 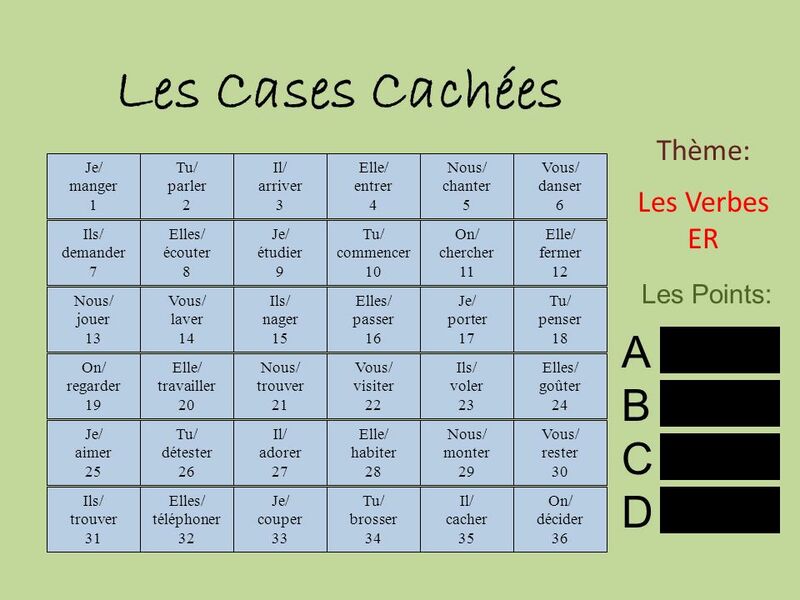 The teacher clicks the square to reveal the correct answer and the points that team earns. The point values are arbitrary and meant to add a bit of excitement to the game. 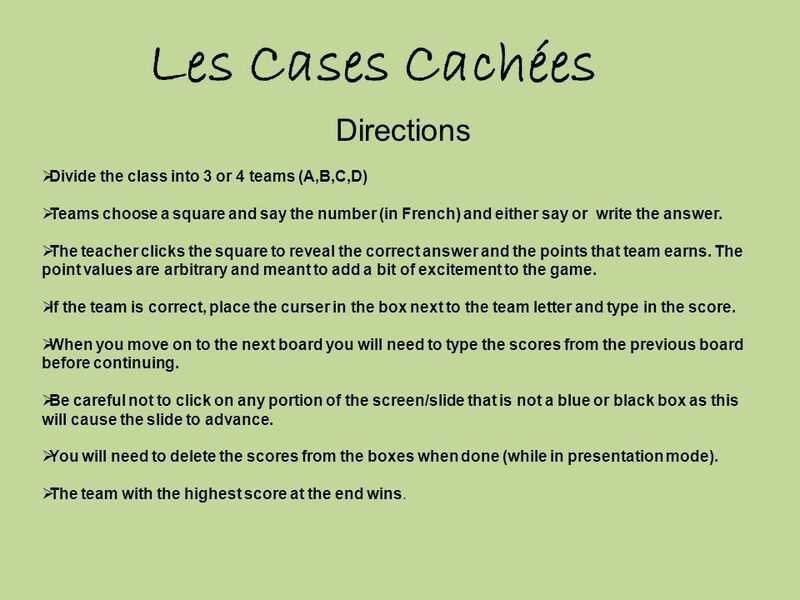 If the team is correct, place the curser in the box next to the team letter and type in the score. When you move on to the next board you will need to type the scores from the previous board before continuing. Be careful not to click on any portion of the screen/slide that is not a blue or black box as this will cause the slide to advance. You will need to delete the scores from the boxes when done (while in presentation mode). The team with the highest score at the end wins. 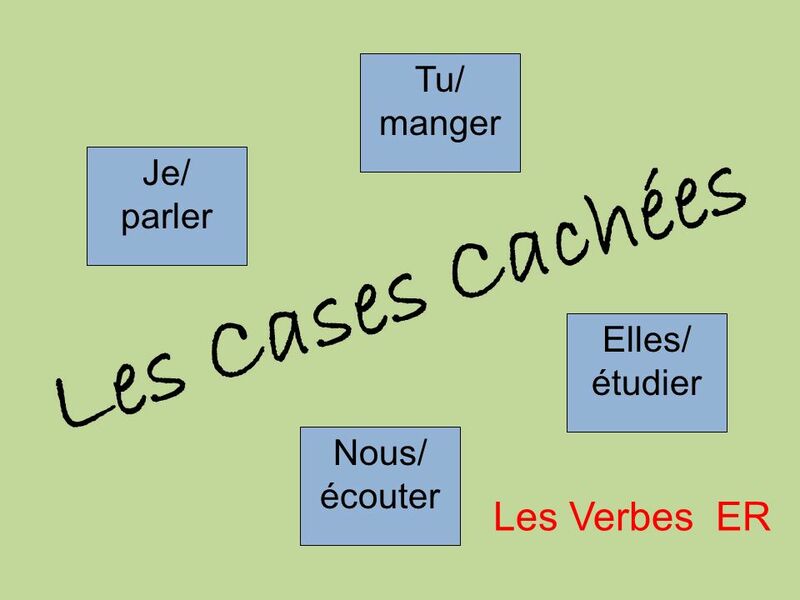 Télécharger ppt "Les Cases Cachées 3 2 Les Verbes ER Tu/ manger Je/ parler Elles/"
Intro to French by Mme Gozelski and Sra. 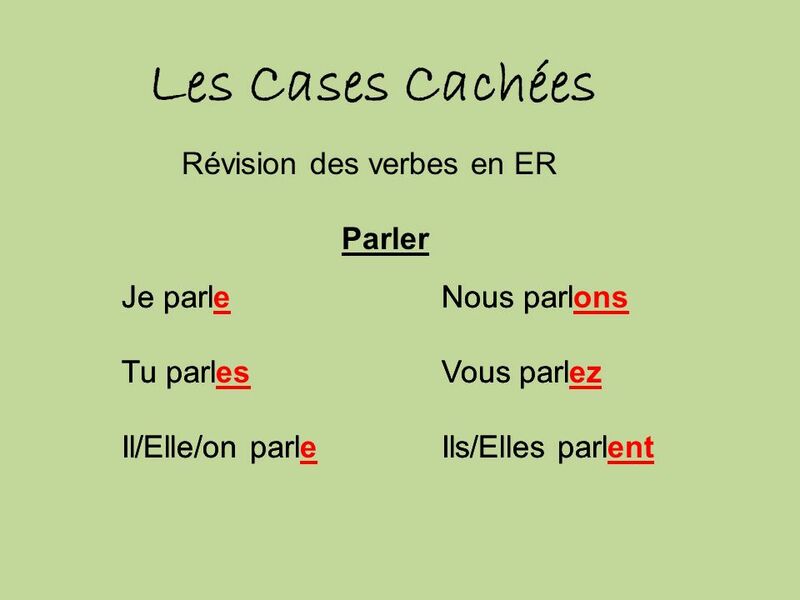 Segura Cold Spring Harbor High School January 2005 LeprésentLeprésent -er R E G U L A R V E R B S.
LES VERBES linfinitif Kathleen Pepin QUEL EST LINFINITIF? Do Now Take out your study guide, your homework, and your journals. After the diagnostic review I will collect your journals and you will place the homework.